Turkey’s construction sector is booming. 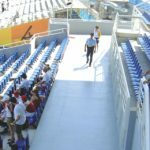 New Buildings are competing with each other, on size and design. The twin towers of the Trump Building is the most prestigious new construction in recent years in Istanbul both in size but also in modern design. 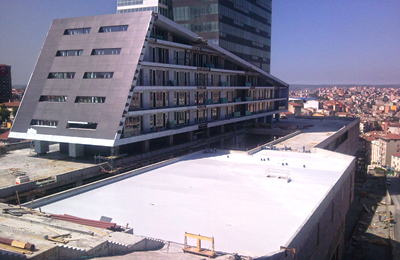 This 60.000 m2 roof terrace was appointed to our agent in Turkey to be waterproofed with the MARISEAL SYSTEM. 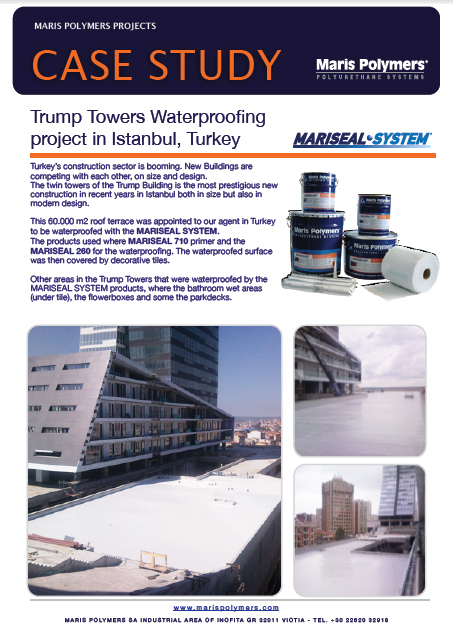 The products used where MARISEAL 710 primer and the MARISEAL 260 for the waterproofing. 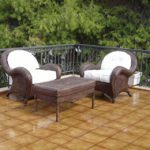 The waterproofed surface was then covered by decorative tiles. Other areas in the Trump Towers that were waterproofed by the MARISEAL SYSTEM products, where the bathroom wet areas (under tile), the flowerboxes and some the parkdecks.